Lashes are, besides my rather bushy eyebrows and long nails, my thing - they are definitely by-far my most complimented feature and to be quite frank with you, I absolutely love my lashes. People always ask me, how I manage to achieve the look of fake eyelashes, so here are some of my secrets or tricks I like to do, to achieve great looking lashes. First of all, I of course have to start with genetics. It's all thanks to my dad and his side of the family - they all have absolutely amazing lashes. So yeah, part of it is of course genetics, but don't get me wrong, that is just a starting point; I also have to include some steps into my daily makeup routine. 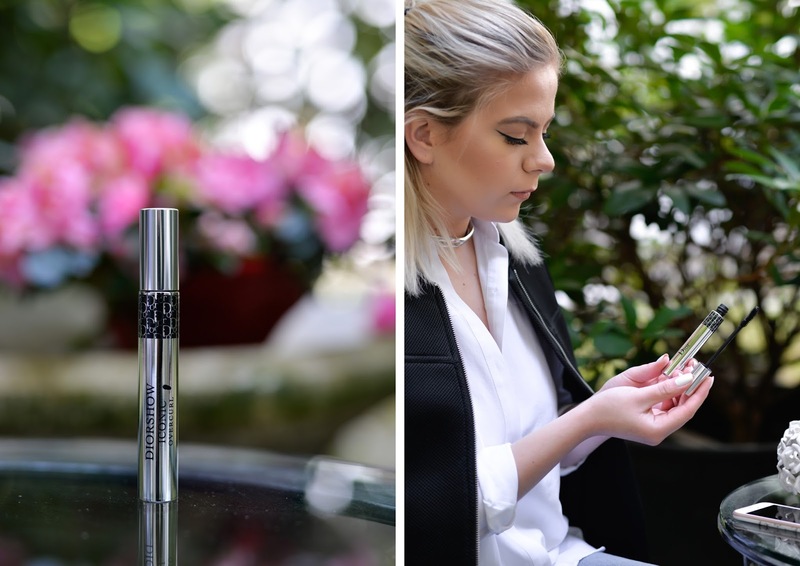 So here they are, 7 tricks and my favourite mascara at the moment, to help you achieve the best looking lashes out there. You may have heard about this on YouTube or other blogs before. It is a make-up artists' secret and works best with brand new mascaras, which can usually transfer a lot of extra product on the brush and consequently create clumpy lashes. So before you use your brand new mascara, wipe off the entire brush on a tissue, napkin or cotton pad to remove any excess mascara. Your lashes will then look perfectly separated and really natural. This is a bit of an excess tip, but if you have extremely watery eyes and feel like none of the tested mascaras works for you, then definitely try out this one. 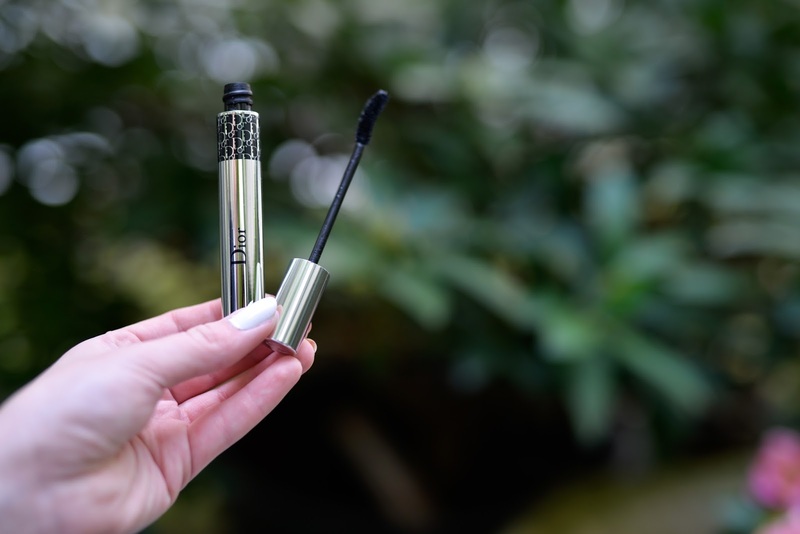 Of course we all know that waterproof formula is great for holding a curl as well as preventing your mascara from smearing all over your perfectly done makeup. My tip is to try applying two coats of your normal mascara first and when it completely dries, finish everything off with a coat of waterproof mascara. That is how you will lock everything in, for a care-free makeup day. 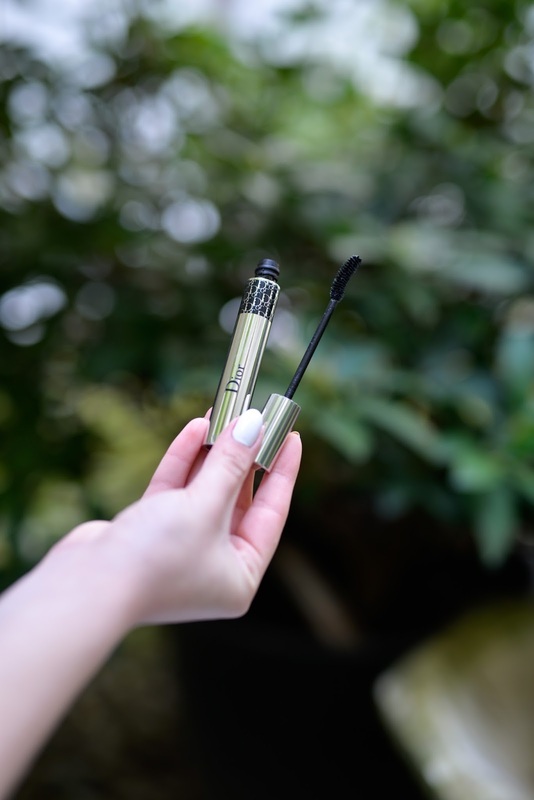 If your mascara is on its last end + it's still in its three-month expiration date (be careful with that to prevent any eye infections) then try to hold your mascara tube for a few minutes, to warm up and loosen the product from the sides. You can also add a few drops of saline solution to re-wet the formula, for a smoother application (which I now know thanks to Google). These two tips will help you use up your favourite mascara completely. Of course the internet is your best friend when it comes to mascara and lash hacks. I found this one on YouTube (on Huda Beauty Youtube channel). Powder (translucent or baby) or cotton have a grip that will help your lashes to stick to it. 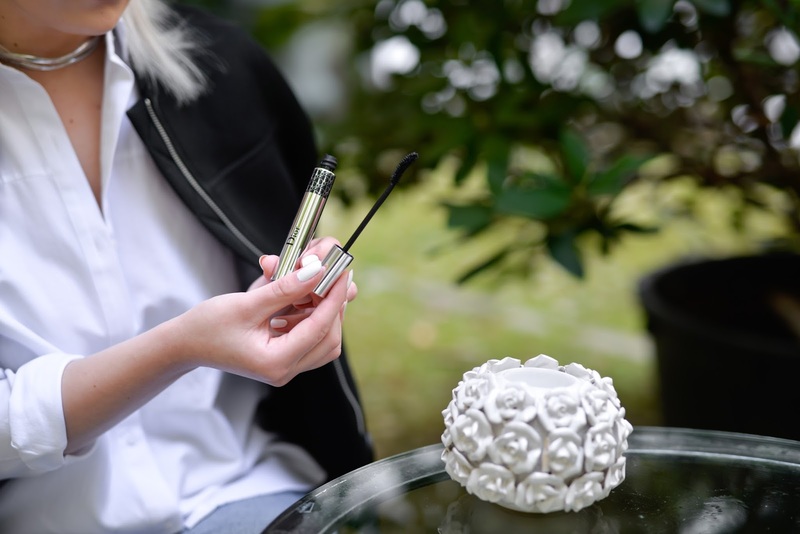 Apply powder with a blending brush or cotton with a spoolie brush in between each coat of mascara - this will make your lashes appear more voluminous. I think I have officially found my favourite mascara. It is simply everything that I love in a mascara. The formula is dry, which means you get a beautiful curl, which will hold in place all day long. It doesn't smudge or flake, so you can wear it worry-free. 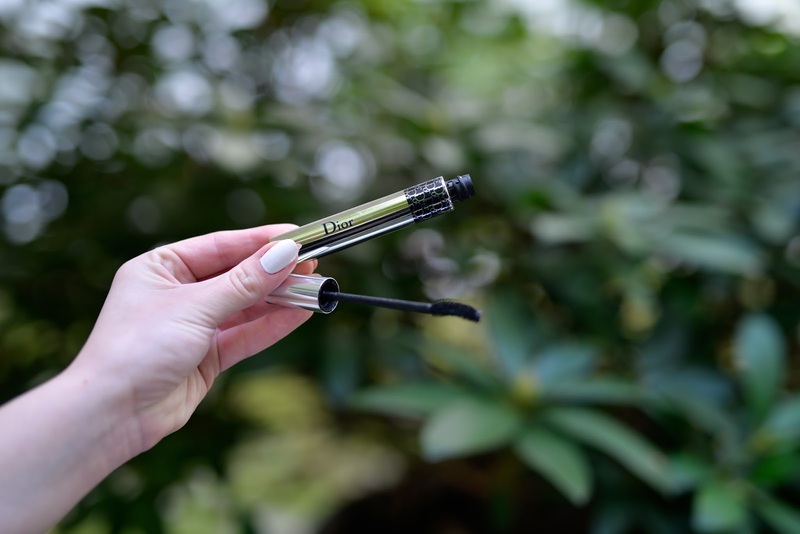 The brush is big and curved - that is why you can easily style every lash from the root to the very end. 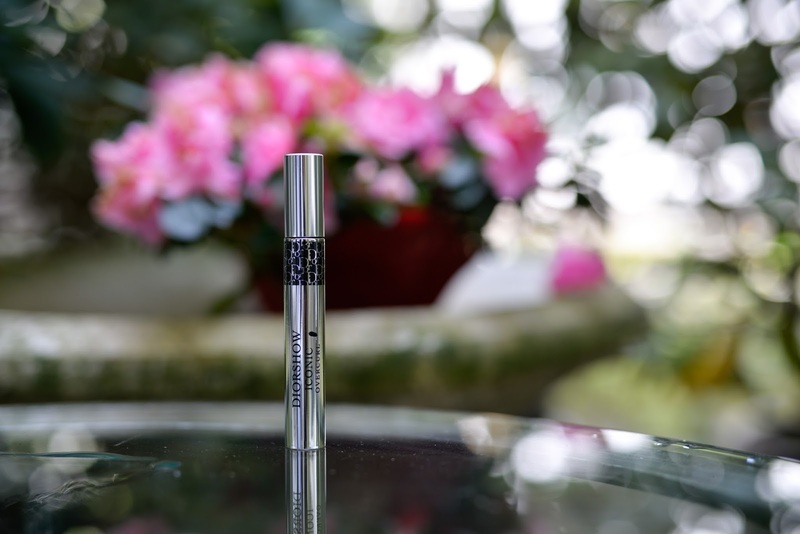 This mascara makes your lashes look volumized, lengthened and completely separated, while still looking extremely natural. 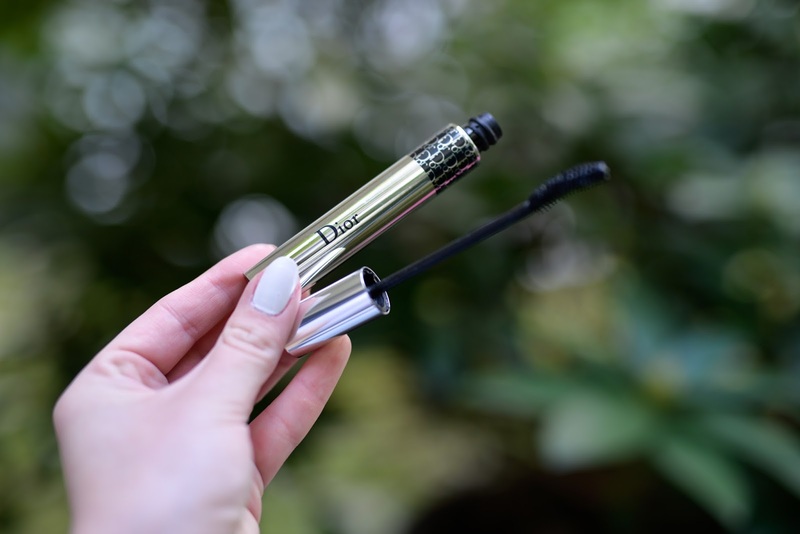 This combination is a rare one, but this mascara has done everything on my list to perfect lashes. The only downfall to this mascara is the price: at $29.50 is not really the cheapest mascara I could recommend, but believe me when I say this: my lashes have never looked so good before. As a huge makeup lover and collector, I usually keep all my purchased mascaras in my collection, even though I might not be using them anymore (a bit excessive, I know). But I have found a great use for all my old and used up mascaras. I specifically pick out the ones I love especially for their brushes, clean them in order to prevent any eye infections and store them in a special compartment. So whenever I try out a new mascara and love its formula, but would prefer to use another brush, I simply switch it up with an older one. I love the brush from Benefit They're Real mascara and use it all the time - usually in a combination with a Maybelline formula, because they offer the best drugstore mascaras in my opinion, but I'm not really fond of their brush choices all the time. This is another great example of how I like to reuse my old mascaras. We all get carried away with our mascara application sometimes. But not to worry, I have a trick for you prepared in these kind of situations. Simply comb thorough you lashes with a dried-out mascara - the bristles will grab the excess mascara and get rid of all the clumps. In case you don't have any old/dried-out (and clean!) mascara with you, then you can also use a toothbrush (again, grab a new clean toothbrush). Works exactly the same! I have used this product. I ma up with 1 stick soon going to buy the second one. This makeup products makes my lashes thick and the second thing is it makes the lashes long and pure black in color. Great products. We all wants lovely eyes. For that we do makeups to look beautiful. Eyes is very important part of our body. Thanks for haring such an informative and amazing information.